We scoured the web in search of the most stunning bridal hairdos to bring you this collection of 2017 trending wedding hairstyles! Check them out! 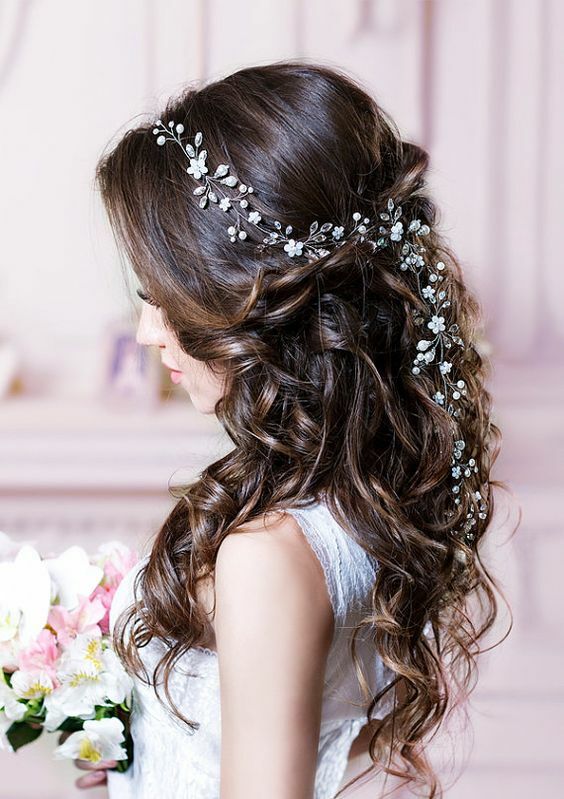 Such a stunning hairstyle for a trendy bride. Now that the hardest part (finding that perfect wedding dress) is over, do you know how you will complement it with the perfect hair style? We are loving some of the daring looks brides are trying out this year. 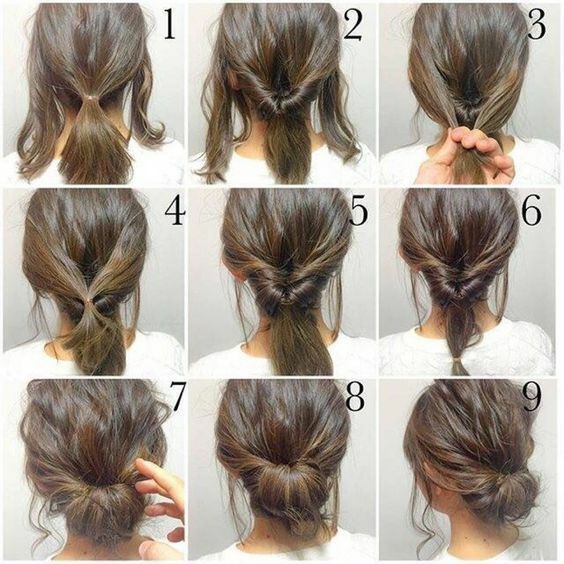 Whether you plan to wear your hair up or back, you will look flawless in any of these styles. Take a look at the list below for some of the biggest 2017 trending wedding hairstyles. Buns, flower crowns, braided up-dos, bangs and even boxer braids for the most daring brides. We are covering them all! Buns? Yes, a few variations of buns are on-trend this year. If you are looking for a romantic, ethereal look, a low braided bun might be the ideal look for you. For a more polished, modern look, ditch the braid and wear a simple low, side bun. This look pairs quite well with neutral makeup to show off the bride’s natural beauty. Higher buns are also expected to be a top look amongst the 2017 trending wedding hairstyles. But not the tight, ballerina buns we have seen in the past. Carolina Herrera bridal show showed off top knots that were loose and frayed to give the bride a more relaxed look. A simple to follow buns hair tutorial. This year, brides are embracing their inner romantic, bohemian goddess by adding in flowers to their braids and up-dos. These looks were everywhere during the 2017 wedding shows and are expected to be a big trend for 2017. The flowers also perfectly compliment the natural look that is on trend. 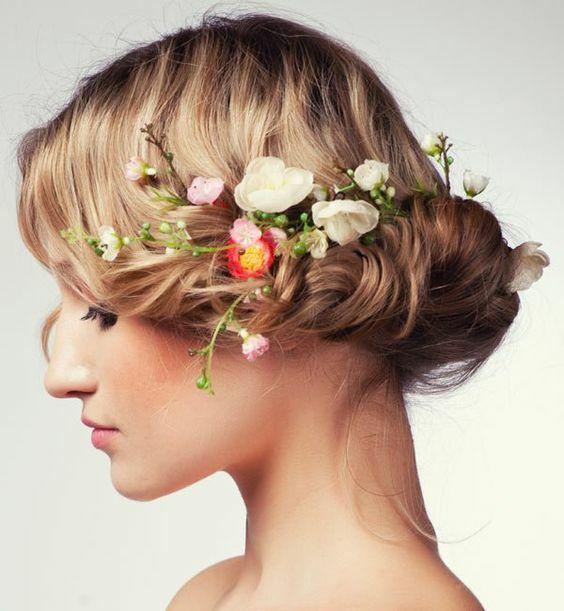 We expect to see brides start getting creative when including florals in their wedding hairstyles. Bridal braids with flower crowns. 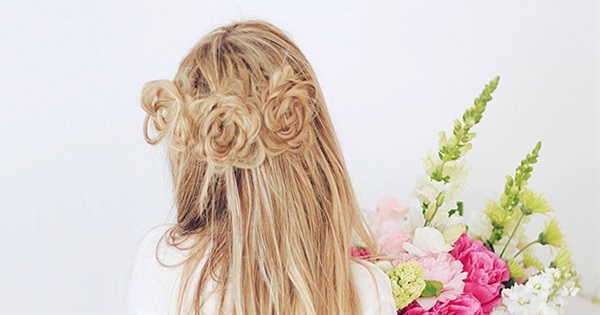 Hair inspiration is when we go crazy over chic wedding hairstyles! We’ve spent hours scouring the Internet in search for the top 2017 trending wedding hairstyles. Here’s one! 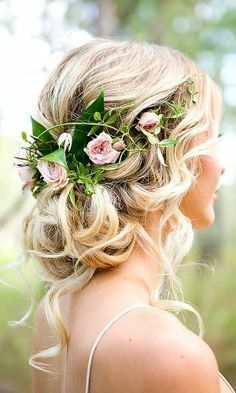 A low updo with floral crowns. 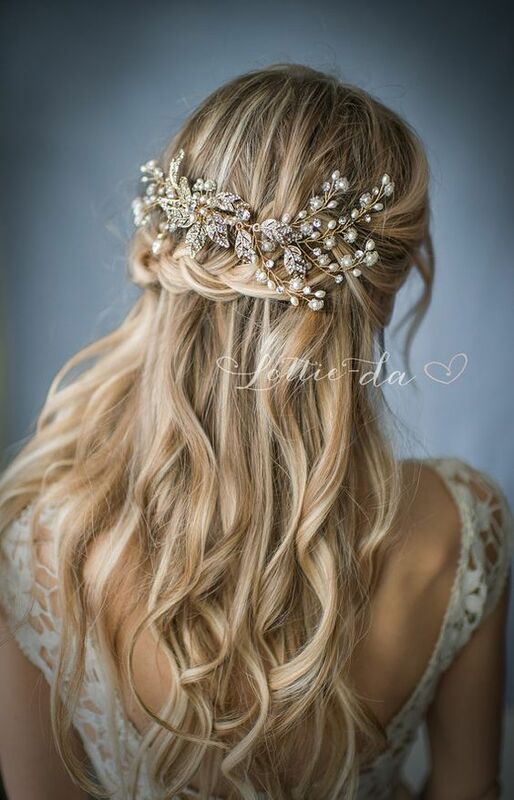 A major part of what makes your hair wedding-ready is the perfect accessory! Also, the layers strategically placed by your stylist would balance out the shape of your face. Boho lends itself to the most incredible floral hairdos. Find your perfect bridal hairstyle on our list of best 2017 trending wedding hairstyles! The braided up-dos 2017 trend shines on this messy twisted wedding hairstyle with dainty hair accessories. Stylish braided half-updo wedding hairstyle. Bangs can be hit or miss and, we’ll admit they might be too big of a risk to test on your wedding day. 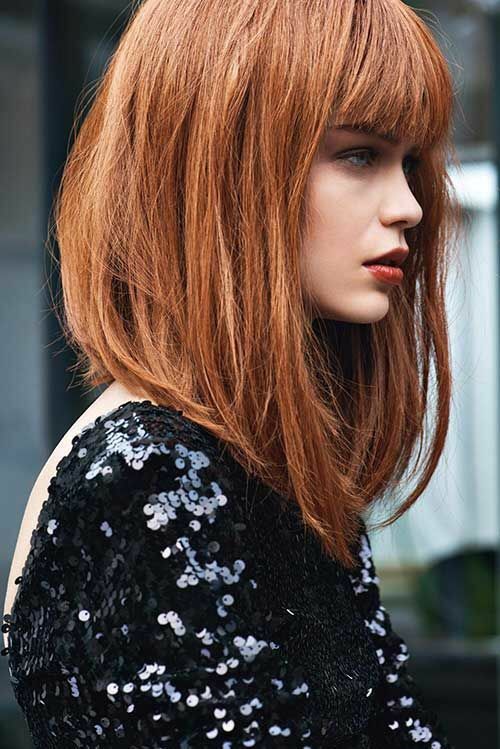 But if you are game for it, a little fringe can help accomplish an effortlessly chic look. Bothe styles of bangs are amongst 2017 trending wedding hairstyles: side-swep and long bangs that reach down to your nose! Well-styled textured bangs can really show off a bride’s natural beauty. You can style them by either letting the rest of your hair lay down or into an up-do. 2017 trending wedding hairstyles. It’s time to bring your bangs back, ladies! Bob with bangs, the cool-bride haircut that will take over 2017. You can thank the Kardashians for this one. They have been showing off this trend for years, and it has finally hit the bridal scene. That’s right. This look is really hot right now. Katharine Polks Spring 2017 collection featured all of her brides in the tight, edgy braids. 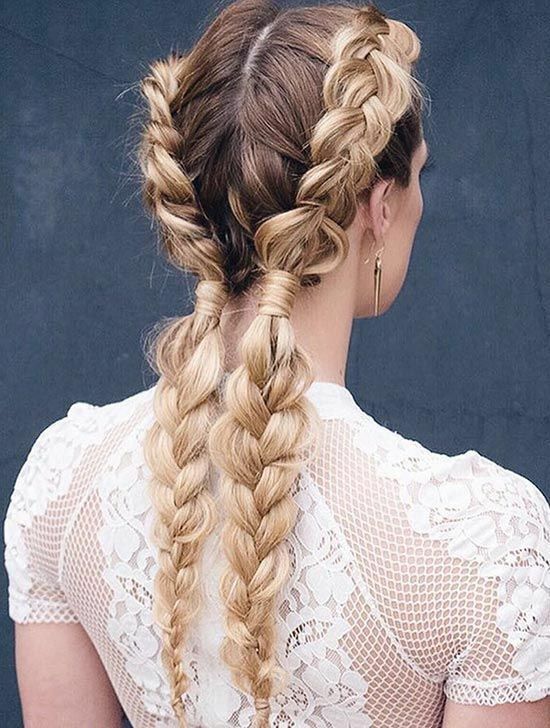 Styled in the right way, these braids can be a total show stopper. Boxer braids for brides. 2017 is the year of bold and daring new looks! Boxer braided updo with a bow or a ponytail. Split hair into two sections and braid each section starting near the temple and braiding down. 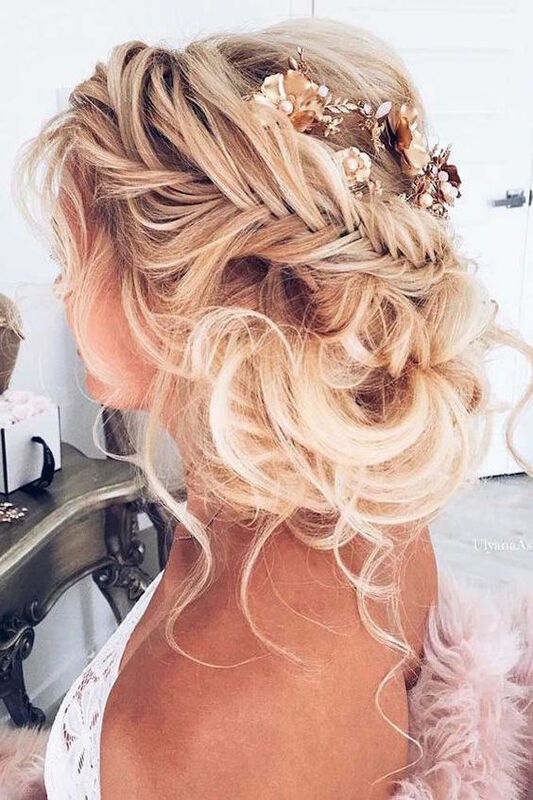 If you’ve dreamt of having luscious thick hair like this one, transform your hair with clip-in hair extensions and make it a reality on your wedding day with longer hair than you’ve ever had before! For the romantic bride a bridal chignon. Let your personality shine through whichever hairstyle you choose. The most important part is that you feel confident with the style chosen. With that, your perfect bridal look will come together seamlessly. 2017 Trending Wedding Hairstyles. These hairstyles are ranging from the sleek to chic, easy to do to messy ones. Amazing wedding hairstyles for 2017 to inspire you because no matter what your wedding theme, a bride’s hairstyle is the most important part of her look. In a couple of minutes you can style your hair from elegant to playful. Try it out! Top wedding hairstyles ideas for 2017 trends. Can’t find the right hairstyle for your hair type and length? Tired of regular old buns and braids? Desperately want to try out something new and never seen before? Don’t be afraid to experiment and mix styles! These 14 creative and original ideas will help you liven up your everyday look as well as catch everyone’s eye at a fancy gathering. What’s best, all of them come with easy to follow step by step instructions which means you don’t need to be a style expert to do them. This hairstyle is simply perfect for those with thick hair! 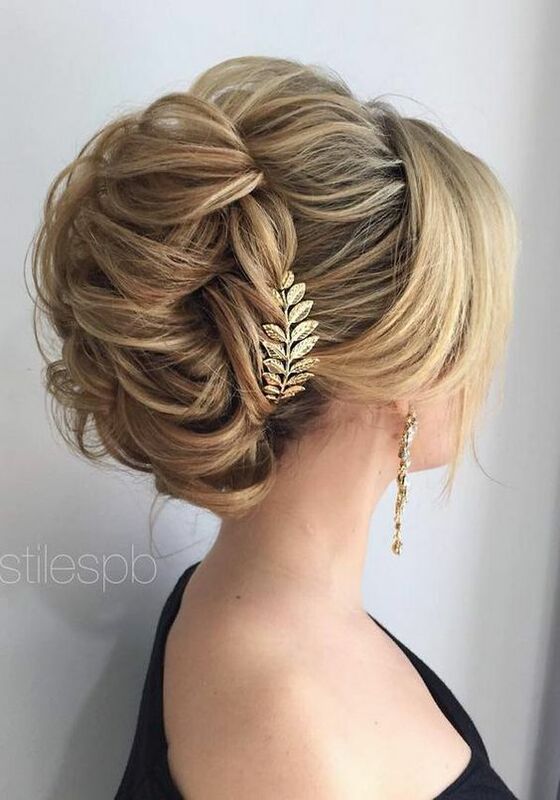 This mix of different hairstyles will leave you looking like a princess! 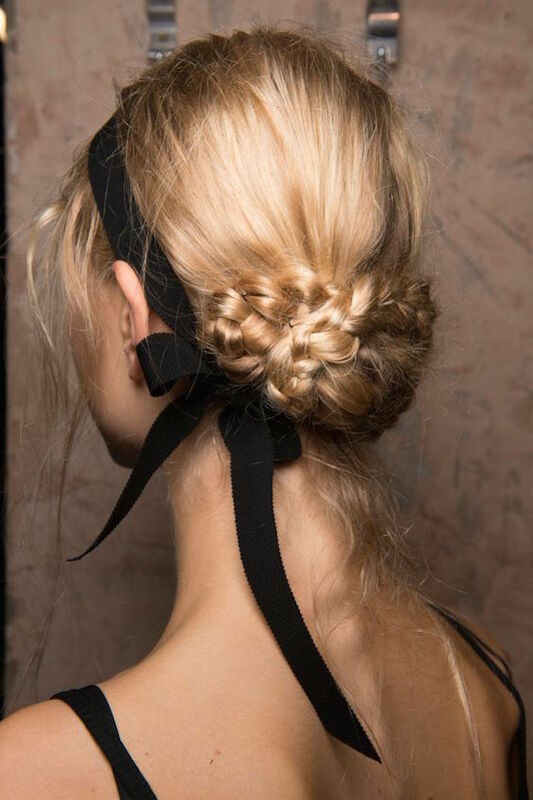 Look chic with this unique combination of a braid and a ponytail. 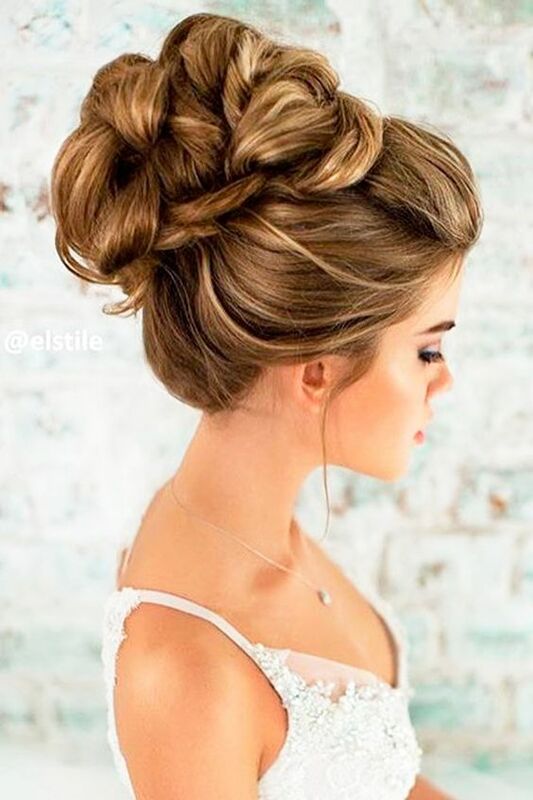 This unique bun hairstyle is both simple and elegant. This gorgeous style won’t seem as complicated if you carefully follow the steps in the tutorial here. This subtle and feminine hairstyle is a one you can easily learn how to do in no time! 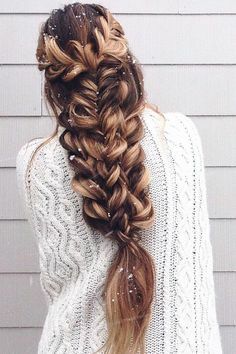 Feel like a fairytale character after learning how to do this simple and quick braid. Learn how to do this gorgeous thick braid here. This updo look will be perfect for both a fancy and a casual day out. 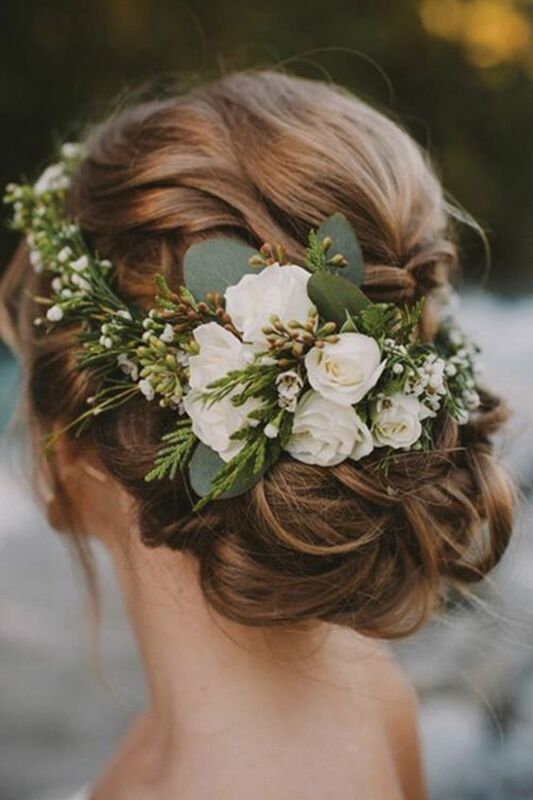 Here’s how you can accessorize your hair with a flower crown…. without actual flowers. More details about this here. Here’s how you can tie your hair into a fancy ribbon. 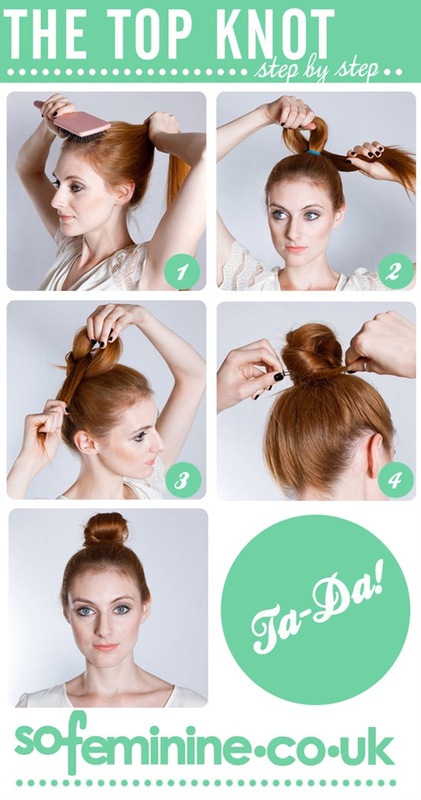 If you love the updo hairstyle, try out this fun twist that will add something new to a classic. Here’s a simple tutorial that will make you look stunning at a party. Create a soft, dreamy and feminine look with the help of a bohemian side braid. A half up half down wedding hairstyle is a perfect option that offers something between a romantic updo and a fancy down ‘do. We collected only the best ideas for half up half down hairstyles that would look perfect whether you are going for classic, boho or vintage wedding theme. Get the look of amazing curls and be confident that your hairdo will stay in place through the last dance. We have selected the most beautiful plus-size Wedding Dresses. These dresses have approving silhouettes and excellent design. 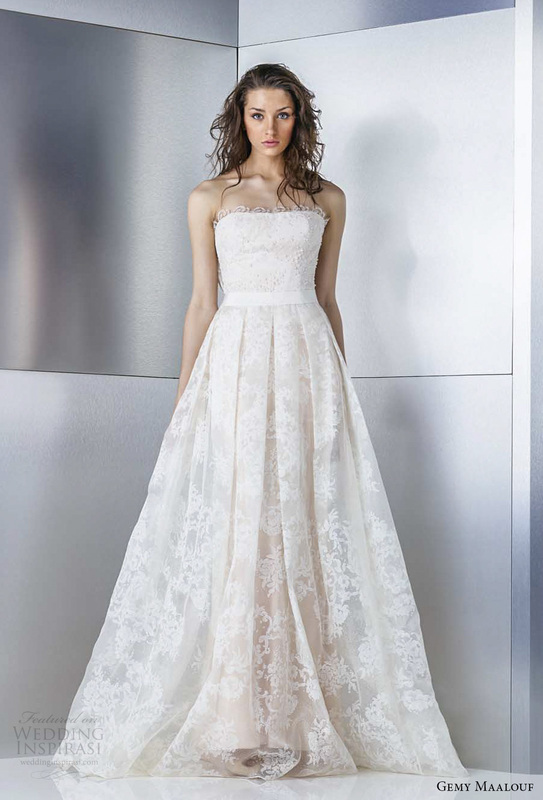 Find the dress of your dreams and be the most attractive bride. A jaw-dropping guide to determine what you will wear on your special day. If you don’t already know about Israel based designer Yaki Ravid, now is the time to check out his gorgeous, dreamy wedding gowns. When I saw his glamorous 2017 collection for the first time my heart completely skipped a beat. The designs are every bride’s dream come true. They are all about couture and high fashion, plus totally swoon worthy. I’m talking gorgeous fabrics, beautiful detailing, and silhouettes that are beyond chic. 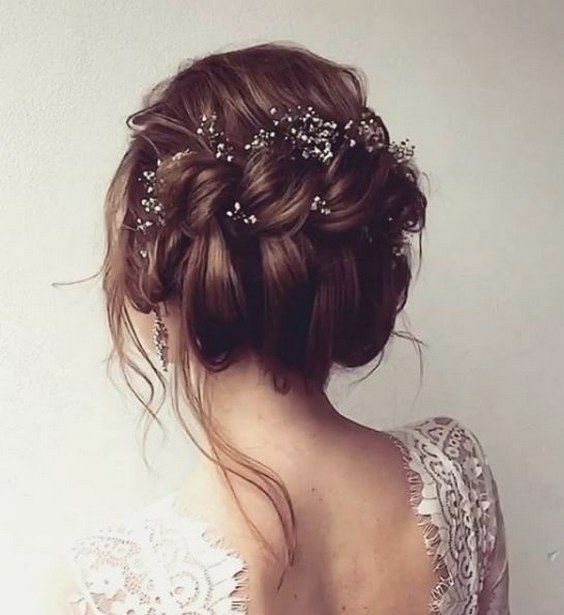 Hair inspiration is when we go crazy over chic wedding hairstyles for long hair. We spend hours scouring the Internet in search for more unique hairstyle ideas to update our collection. With this gallery of fishtail, soft waves, braids, chignons and of course all-popular half up half down hairstyles brides have many options to choose from. I hope these ideas of bridal hairstyles inspire you to create the perfect style that truly reflects your personality. Mother of the Bride plays an important role in her daughter’s wedding and she is one of the key figures there. As we are getting older, we review our style in clothes and hair. But in our modern time, a woman doesn’t stop being a woman with age. Don’t afraid of experimenting with styles. However, with years we strive for more comfort and simple hairstyle. Mother of the Bride hairstyle – a laconic and elegance that can be traced in absolutely everything, without any hard and difficult constructions. In the pictures below we are offering some popular creative ideas with long, short and medium hair for Mother of the Bride hairstyles. Lusan Mandongus 2017 Wedding Dresses feature scintillating details inspired by the stars. The collection includes the exquisitely beaded gowns, Theta and Comae. Photos courtesy of Lusan Mandongus. Filled with unconventional silhouettes, whimsical textures and playful layering, Gemy Maalouf’s 2017 Wedding Dress collection is for the bride who loves romance with a fashion forward twist. The full 2017 bridal collection features modern interpretations of classic bridal ball gowns and A-lines alongside chic separates (delicate tops matched with short-, tea length- or full skirts) and an incredible lace jumpsuit. Photos courtesy of Gemy Maalouf.